BeenThere-DoneThat: Roman artifacts, Colchester, Essex. There are Roman coins and pottery, together with musket balls from the seige of Colchester, which were found in the vicinity, on display in the pub. 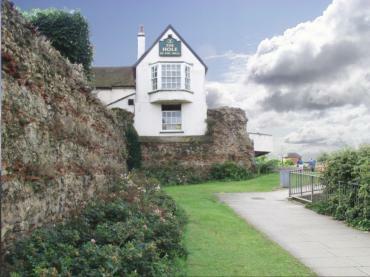 The Roman wall is easily seen on the left curving round to go past the pub. 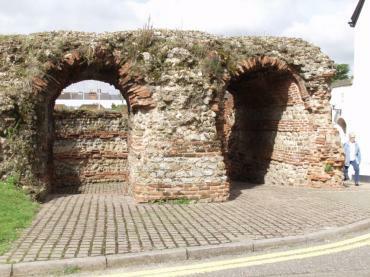 The Roman wall around Colchester, or Camulodunum as it was during the Roman occupation, is believed to have been built between the years 65 to 80 A.D which makes it just 80 years short of being 2000 years old and is the oldest known Roman wall in Britain. This part of the wall, the Balkerne Gate, was the western entrance to the town and is the largest surviving Roman gateway in Britain. Colchester is also Britain's oldest recorded town - first recorded in 77 AD. 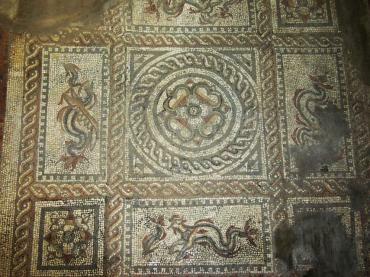 Part of a Roman mosaic. This 2nd century mosaic was discovered during excavations for some building work in the town and was moved to the Castle for safekeeping. You can see this on display in the entrance to Colchester Castle.